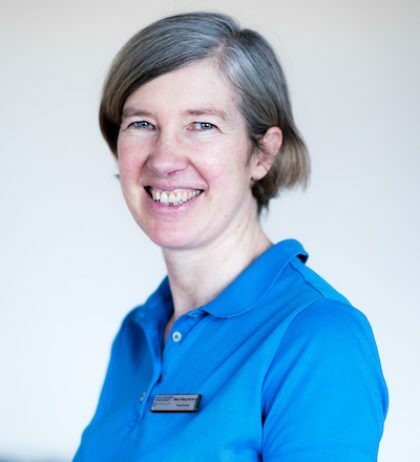 After completing a Social Sciences degree and spending 10 years following the snow around the globe, I qualified as a Physiotherapist in 1996 and have been based in the Perth area ever since. I have mainly worked for NHS Tayside, having a variety of roles both within the hospital and out in the community. I have specialised in what was known as Women’s Health for the past 10 years after completing the post graduate education in 2003. This role has expanded over the years to cover not only Obstetric and Gynaecological issues, but also bowel and male pelvic problems. This is an area of health that people often find difficult to seek help for and I am passionate about helping break down some of these barriers. I believe in the importance of a thorough assessment and working with the individual to identify problems and set realistic goals for treatment. I am also a member of the Acupuncture Association of Chartered Physiotherapists, using acupuncture as a treatment where appropriate. Away from work I enjoy yoga, getting outdoors (especially in winter!) and keeping tabs on three children. I am also challenging my lung capacity, motor coordination and mental powers by trying to play the bagpipes (although the children think I should stick to physiotherapy! ).